Two of Canada’s biggest banks fear that they’ve been the victim of a data breach and are urging customers to take the necessary steps to protect themselves. Both banks claim that they were contacted by “fraudsters” on Sunday who claimed to have stolen personal and financial information, and both banks appear to think the claim is legitimate. On Monday, Simplii Financial, a subsidiary of CIBC, and the Bank of Montreal released statements about the potential cyber-looting. Each case appears to be quite similar in that the banks claim they just learned of the issue on Sunday and they are offering little details but take the threat seriously. Bank of Montreal wrote that it believes the attack originated from “outside the country,” and it’s confident the exposures of customer data have been closed off. The bank only said that “a limited number of customers” were affected. We’ve reached for more information and will update this post when we receive a reply. While the numbers are small in comparison to the kind of mega-breach we’ve seen with American companies like Equifax, it’s still unclear what the extent of the exposure could be. Simplii emphasized that there is currently no indication that clients who bank through its parent company, CIBC, have been affected. The Wall Street Journal contacted other Canadian banks and found there was no indication the breach is more widespread. 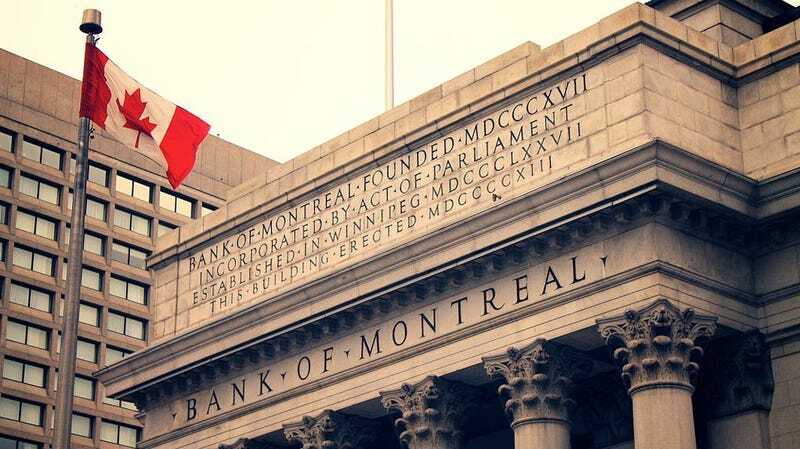 Earlier this month, the Bank of Canada announced that it is collaborating on a system with the six largest banks in the country to combat cyberattacks and limit their damage. It seems the system comes not a moment too soon.